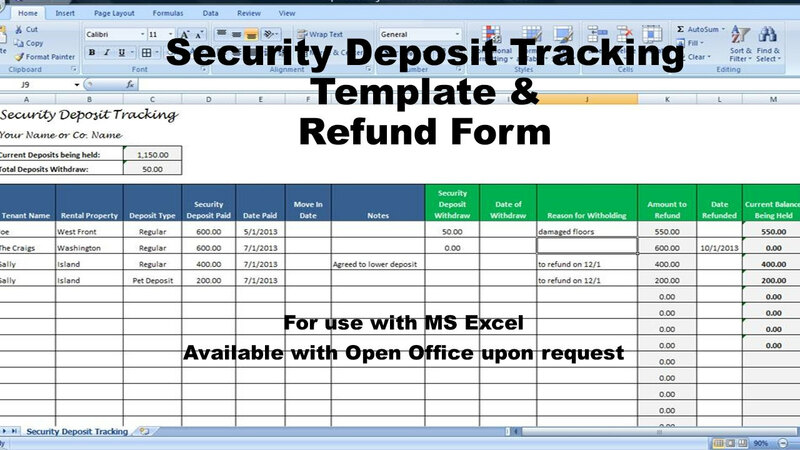 If you need to track the security deposits for your rental properties, here are 2 great templates that will help – 1.) a rent deposit return form – that you can send to tenants notifying them of any deductions and 2.) 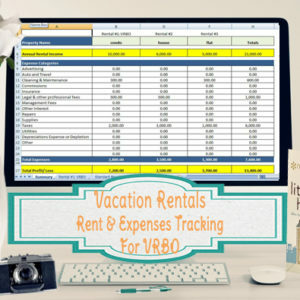 a deposit tracking worksheet to keep track of security deposits being held on various rentals. Two great templates are included in this listing to help with tracking your renter security deposits: 1.) a rent deposit return letter – where you can specify the deposit deductions and send to the tenant and 2.) a deposit tracking worksheet for your own use. 1.) Sample Rent Deposit Return Letter – You can use this as many times as needed by saving a different version for each renter. Simply enter their original deposit paid, list the damages and amount of deductions from their security deposit, and the total deposit due will calculate at the bottom. 2.) 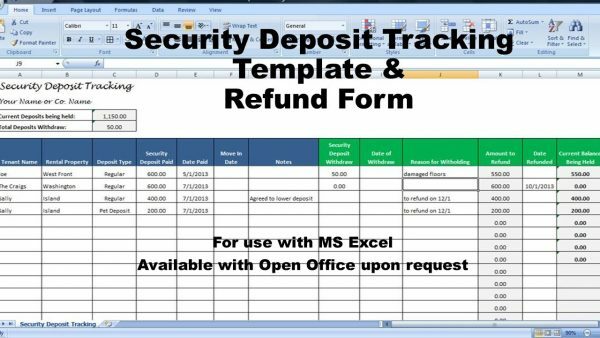 Deposit Tracking Worksheet – If you have more than one property, keeping track of how much you are holding in security deposits can get tricky. For each property, you’ll be able to list your tenant names, property, deposit paid & date in the blue columns. The totals will automatically add up your total security deposits that are being held. When it’s move out time, enter the details in the green columns. Simply enter any amounts being withheld and the total deposit due back will calculate in the last column. Once you enter the date refunded, the balance held will 0 out. 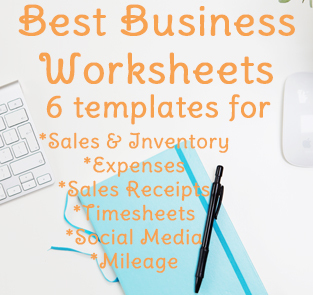 The templates are available as an excel spreadsheet. 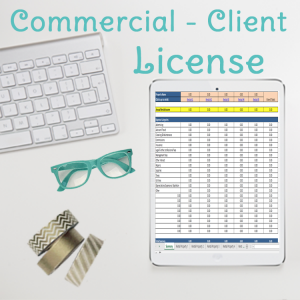 They can be made to work as a PDF upon request, but the formulas won’t be able to calculate the amounts held/due unless used in Excel. You will receive this by email. You won’t receive a physical copy in the mail. 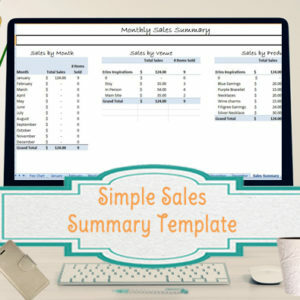 *You do not have permission to distribute or re-sell the template, so please don’t do it. The templates come personalized with your name or business name of your choice. If you have any questions or would like to request a custom quote, feel free to contact me.